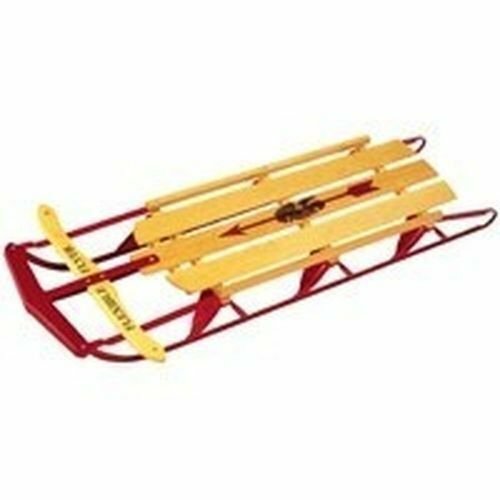 New Lot of (2) Paricon 1060 60'' Flexible Flyer Wood Runner Snow Sleds by Paricon at Notakem Bara. MPN: GS-728639280753. Hurry! Limited time offer. Offer valid only while supplies last. LOT OF 2 60' RUNNER SLEDS 'FLEXIBLE FLYER' SPECIAL SALE PRICE!!! BRAND NEW FROM FACTORY!! Grooved runners for better tracking. Multiple ribs. LOT OF 2 60' RUNNER SLEDS 'FLEXIBLE FLYER' SPECIAL SALE PRICE!! !